The 90s were an incredible time for music, but it almost seems incomplete without the female R&B groups that sang their way to the top of the charts including En Vogue, SWV, 702, Zhané and Destiny’s Child. With beautiful harmonies and inescapable melodies, these ladies kept our heads bobbing, but after the 90s/early 00s, the tunes stopped coming and we were left asking ourselves, “Hey, whatever happened to that one group…?” Here are five female R&B groups that need to get back in the studio. 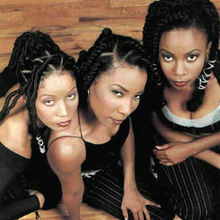 In 1990, Dawn, Cindy, Terry and Maxine let the world know they were ‘born to sing’ and in 1992, they established themselves as ‘funky divas.’ In a sea of girl groups, En Vogue stood out because 1) They always looked like they stepped off the runway and 2) There was no lead singer; each member could hold their own. With a long string of hits including “Hold On” and “Don’t Let Go (Love),” these ladies were the culprit for female R&B groups of the 90s, showing no signs of stopping until Dawn left to pursue a solo career. The new trio was able to achieve moderate success, but without Dawn, it wasn’t quite the same. Mimi, Maxee and Nicci-these ladies were bad, so bad they caught the attention of the king of pop himself and were immediately signed to his label. 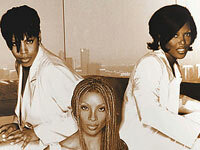 Their debut album, From the Bottom Up spawned the hit singles, “Grapevyne” and “If You Love Me,” which earned a Grammy Award nomination for Best R&B Performance. But not even the king of pop’s approval was enough to keep the group together. After going through a series of replacements, the group’s last attempt at a comeback was in 2007, but how great would it be to hear the original trio tear it up one last time? Tonya, Joi and Di, better known as Jade, are responsible for bringing us one of the most infectious songs of the 90s, “Don’t Walk Away.” With perfect harmonies and a fresh sound for the times, they sang their way into everyone’s stereo and had us jamming ‘every day of the week.’ But things slowed down for Jade after the release of their sophomore album and they eventually disappeared. Today, all the ladies are busy doing their own thing, which is great, but a reunion would be even better. 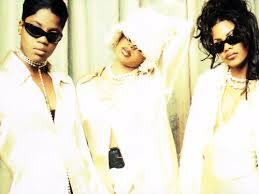 Before Kandi joined the cast of “The Real Housewives of Atlanta” and Tameka a.k.a. Tiny became T.I.’s wife, they along with LaTocha and Tamika were the four ladies who comprised the quartet known as Xscape. Their debut album, Hummin’ Comin’ at ‘Cha was a huge success and had everyone ‘just kickin’ it.’ Much like their harmonies, everything seemed to be going smoothly for the group until troubles began surfacing among the members and Kandi eventually left in pursuit of a solo career. And with unresolved conflicts still residing, the chances of a reunion happening are slim to none, but a girl can hope, right? 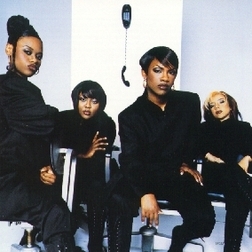 The ladies of Total-Kima, Keisha and Pam were everywhere in the 90s. With guest appearances on everyone’s tracks from LL Cool J to The Notorious B.I.G., Total’s debut album was a smash hit and landed them a spot on one of the hottest movie soundtracks of 1997, Soul Food. After the release of their sophomore album however, the group fizzled out and eventually parted ways, but wait, there’s a happy ending. Last year, Pam announced via Twitter that the group is currently in the studio and working on new music. Fingers crossed!